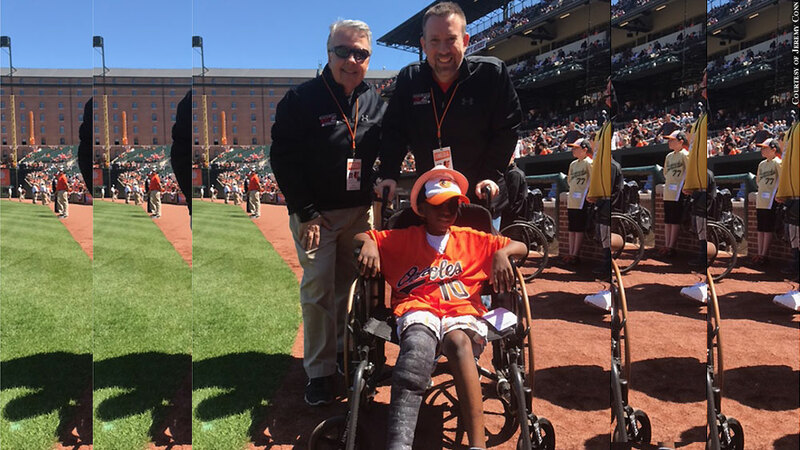 It's not every day that sports fans have fans of their own, but Glen Burnie, Md., native Mo Gaba, 11, is not your everyday sports fan. Diagnosed with cancer at 9 months old, Gaba started calling into the "Scott Garceau Show with Jeremy Conn" on 105.7 The Fan after school in 2015 and became a favorite among the hosts and listeners. Garceau and Conn helped fans rally to Gaba's aid as he battled cancer for a third time in 2017, raising more than $35,000 through Gaba's Mo Strong GoFundMe page.